It is a pleasure welcoming you all to the 35th Annual General Meeting of your Company. India has shown remarkable resilience and remains progressive. As per IMF’s latest World Economic Outlook, India is a bright spot with strong growth and rising real incomes. Your company is pinning hopes on the plans chalked out by the government to bring a revival in the economy with the mandate of less government and more governance. Growth prospects for the Indian logistics sector looks promising in 2016 with support from numerous Govt. initiatives in the areas of logistics infrastructure development and tax reforms. The Government has taken various initiatives like Make in India, Digital India, allowing FDI in major sectors, including defence, increased spending on infrastructure, etc. 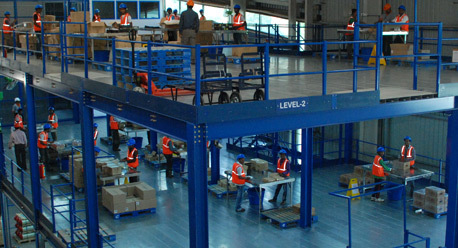 In addition to this, the booming e-commerce sector is likely to support strong growtin the warehousing segment. Dedicated freight corridors, increased port capacity and connectivity, and proposed auto hub are likely to increase share of railways in land transport. The Indian logistics industry is likely to grow at a CAGR of 8.6 % between 2016 & 2020; it grew at a CAGR of 9.7% during 2010-2015. Arshiya continues to operate its business into two verticals – FTWZ and Rail Operations. While company continued to be EBIDTA positive, it has recorded losses at the net level. 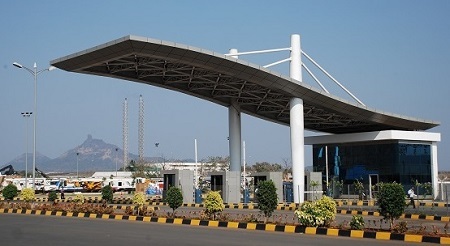 The Panvel FTWZ has exhibited growth in terms of cargo volume as well as Revenues. The Rail operations have registered a decline, especially in the last quarter of the previous financial year, mainly due to the heavy floods in the Chennai, which has badly impacted the cargo movement in the south. The overall economic slowdown, coupled with regulatory hurdles has continued to impact the bottom line of the Company. The Company has been consistently taking up these issues with the appropriate Authorities. The Panvel FTWZ continued to handle varied product range, comprising of more than 50 items ranging from Heavy Metals, Chemicals, Polymers, IT & Telecom products, Pesticides, Auto Parts to Consumer Goods, Electronic goods, Yarn & fabrics, Pharmaceuticals, Agro products, etc. Your Company has serviced more than 300 International and domestic clients. At any given point of time, your Company continues to have client patronage of over 250 customers. During the year 2015-16, your Company emphasized on increasing the cargo volume as well as operational efficiencies. As against approx.14000 Containers handled during previous year, this year your Company has handled more than 16000 Containers at its Panvel FTWZ, thereby registering YoY growth of 16%. Your company has also achieved growth in operational efficiency in terms of Area utilization and Value Optimization Services. The occupancy levels have increased from 50% in the previous year to over 78% in the current year. The Rail operations at Khurja continued to be sub-optimal owing to the lag effect of slowdown in the Indian economy over past few years. The reduction in the cargo movement especially Steel, Cement, etc., has impacted the country’s freight transportation. Domestic sector has shown a negative growth in container train movement. This decline can be attributed to competitiveness of the rail sector v/s road sector, especially for light cargo. The development of Dedicated Western and Eastern Freight Corridor and implementation of GST regime will bring in much fill up to the Rail operations of your Company. 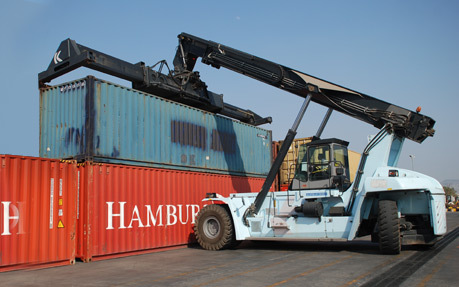 The company is well poised to face the challenges and tap new business opportunities, including the one arising from the likely increase in container volumes due to development of Dedicated Freight Corridors (DFC). Further, it gives me pleasure to share with you that your Company has received the ICD approval and the Company has commenced EXIM rail operations at Mundra Port and would be shortly commencing operations at JNPT and Pipavav ports. I am sure that commencement of ICD facility at Khurja will be a game changer event for your Company. The ICD at Khurja is strategically located at the confluence of the proposed Western and Eastern Freight Corridors, within the National Capital Region (NCR), which is the manufacturing hub of India. Further, Khurja is well connected through 3 major routes, i.e., NH 24, NH 91 (Old GT Road) and through Greater Noida Expressway. The development of ICD will give much needed fillip to our existing rail operations as well as to our FTWZ facility at Khurja. The readily available market will be EXIM cargo at Aligarh, Agra, Bulandshahar, Firozabad, Meerut, Noida, Ghaziabad, etc. This will become the first Integrated Logistic Hub in the Country. There is huge reefer market in the nearby vicinity. The Company is in dialogue with major players for shipment of their reefer cargo through Khurja. FTWZs still continue to be nascent stage in India and management is trying its best to showcase the benefits of FTWZ to the varied industry players. Some of the key initiatives undertaken by the company include creation of strong Sales team from diverse skill set and background, segmenting the market based on the different industry profiles, focusing on large volume based potential foreign clients thereby creating value while providing customized solutions to our customers. We pride ourselves in maintaining high quality standards at all our facilities while cultivating strong relationships with our vendors in order to create unmatched service levels to sustain customer satisfaction and retention. With the establishment of first FTWZ in the country and near full capacity utilization of 6 warehouses, the time has come to reap the full potential of Panvel FTWZ, spread over an area of 142 acres. Your Company can develop 20 to 25 additional warehouses with development potential of 3 mn sq. ft. While, on one hand, the Company is facing challenges for servicing dues of its lenders, on the other, there is huge opportunity for large requirement of Warehousing space in the Country. The Company is in advanced dialogues with REIT players, PE Funds/ Strategic Investors, for monetizing its existing warehouses as also exploring funding avenues for construction of additional Warehouses. Similarly for Khurja, the management is making all efforts to make the ICD Khurja as the Integrated Logistic Hub of the Country. The rail business, ICD and FTWZ would be supplementing each other providing synergistic advantages. The ICD at Khurja has throughput capacity to handle 3.00 lac TEUs p.a. The Company is looking ahead on capitalizing and optimizing the state-of-art infrastructure that is already created at Khurja. Some of the key initiatives undertaken by Your Company for Khurja includes providing Rail connectivity with Gateway Ports, viz., Mundra, JNPT & Pipavav catering to EXIM market, negotiating with potential foreign clients to set up their storage base at Khurja and exploring with other Exim rail operators for Pooling arrangements. This will enable huge cargo throughput for Khurja ICD. I am sure, the aforesaid initiatives will bring all round developments and enable the Company to bring down its huge debt burden to sustainable levels and ensure the much required turnaround of Your Company. We understand that conducting business in a socially responsible manner is paramount and the Group continues to support the sustainable development of our community through initiatives aimed at creating a positive impact in the local geographies where we operate. Your company has always followed the best Corporate Governance practices which is the key for achieving its long term goals. It believes that the guiding principles of Corporate Governance framework should be based upon compliance of Law/ regulations in letter and spirit, adopting transparent systems, safeguarding the interest of its stakeholders and creating an environment of trust and confidence by means of transparent and timely disclosure of information. We believe in conducting fair business and respect the needs of our community and all our stakeholders. We greatly value the support of the Government of India, State governments, and other statutory authorities for their collaborative and enduring relationship. On behalf of my colleagues on Board, I wish to express our sincere thanks to the Banking fraternity, and all the stakeholders who stood by us during testing times. I deeply appreciate all our work force for their resilience and continued support and trust. I also take this opportunity to thank my Board colleagues for their valuable guidance. Finally, on behalf of the Board of Directors and the entire workforce of your company, I would like to thank YOU, our shareholders for your enduring support and patronage. I would like to share with you that your company is moving ahead with intense focus on targets and deliverables and I am confident that with hard work and commitment of entire Arshiya team and your unwavering support, your company will reach new horizons in the periods to come. I conclude here, with a special vote of thanks to each one of you and assure you of our very best efforts, always.